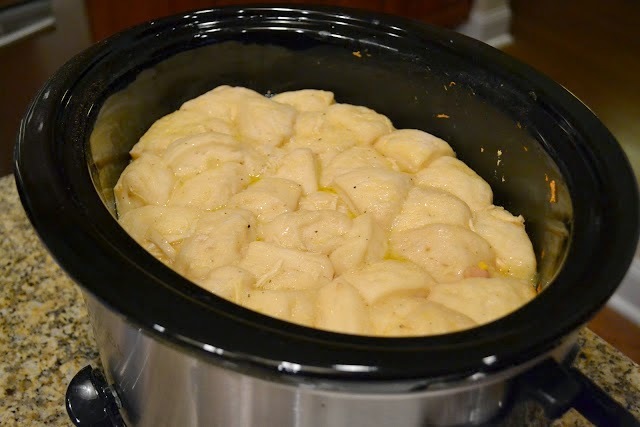 I first heard about this Crockpot Chicken n’ Dumplings recipe from fellow Blogger and YouTuber, TiffanyD. I thought it looked easy and interesting so I immediately did a search for other recipes like this. While there are tons of them with a few alterations, they are basically the same. I took the basics from a few different recipes. I’ve since made this a handful of times and passed it along to friends and family. It’s been a big hit. Anything in the crockpot is good with me. I have to say that I’m normally not a big fan of this dish, but I really love it this way! they are cooked through. Stir a few times to mix all together and break up the biscuit layer. you shred the chicken. I use all 8 biscuits. You can use less if you want. that looks amazing !!! thanks for sharing!!! My daughter LOVES Chicken and Dumplings and has been begging me to make them…I have Tiffany's recipe printed out and sitting in my kitchen since I promissed her I would make them this week!! 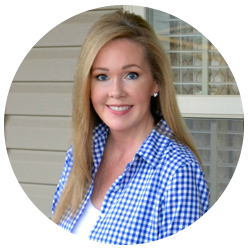 Excited to see this post from you today since it's just another YES for a good easy recipe! Can't wait to try it! Bookmarking this for future use!! Crystal this recipe was the prefect way to start out the fall season. Thanks for sharing!